The Anglo Nubian was developed in Great Britain using Middle Eastern and Indian stock, firstly with existing native goats and later by crossing with the imported Swiss breeds. The Middle Eastern breeds were Nubians from Egypt and Zariby from Eritrea, while the Indian breeds were the Jumna Pari and Chitral. Thses exotic breeds were of differing build and appearance, but all distinctly different to the British goats with the crossbred offspring showing distinct ‘Nubian’ characteristics. The Anglo Nubian was well established in Britain prior to the introduction of the Swiss breeds, with goats appearing at the first goat show in 1875. They had either mottled or solid coats and a distinctive arched head with long pendulous ears. Importations until 1904 ensured that the breed’s ‘Nubian’ character was maintained and in 1910 to breed was entered into the British Herd Book. Only ten of the breed were imported into Australia in 1954 and all Anglo Nubians are descended from these imports. Crossbreeding helped to establish the breed. The Anglo Nubian is regarded as having a higher butterfat percentage and better fleshing qualities than the Swiss breeds. 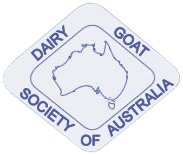 Having been bred from hot climate goats, the breed is well suited to Australian conditions. DISQUALIFICATIONS: Parrot mouth. Double teats. Double orifices. Supernumerary teats. Intersex. Pink skin. Wry face. Undescended testicles or one testicle only.